Home / Are There Recitals or Events? Yes! Every summer we showcase all of our dancers in our annual McElligott School Recital. 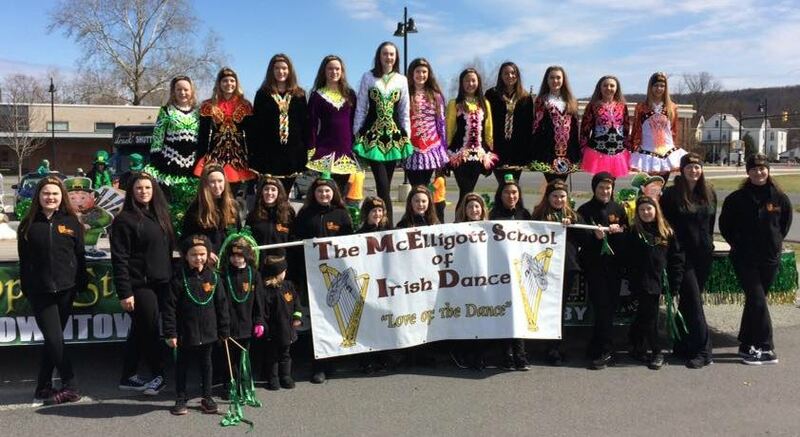 Also every dancer in the school is invited to join us in the Stroudsburg St. Patrick’s Day Parade. As your dancer progresses they can join our performance group which performs throughout the year, all over the state, at a variety of exciting venues.